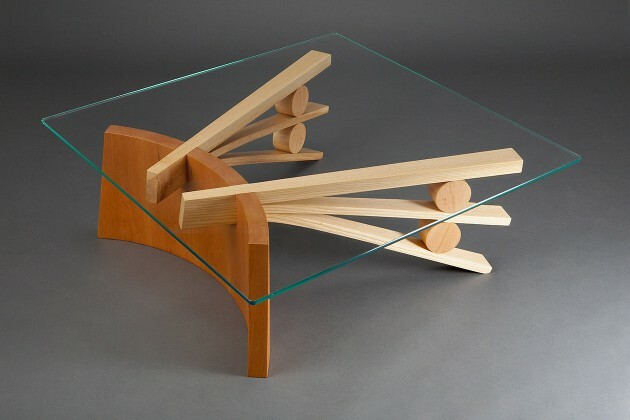 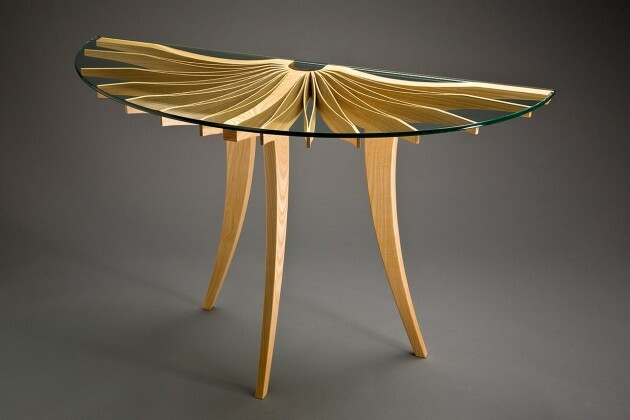 Nesting Side Tables are beautiful, contemporary solid wood and glass side tables that provide three convenient and portable eating surfaces that nest together when not in use. 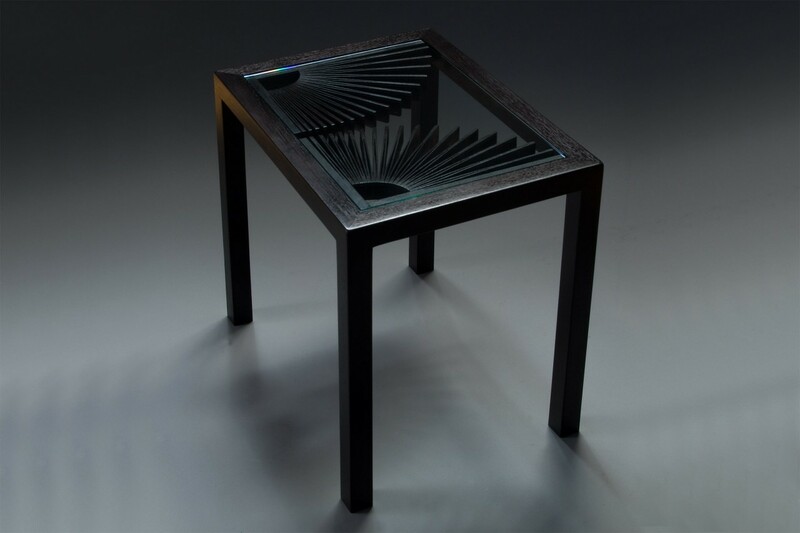 The largest ash side table and mid sized dyed walnut ones have inset glass over the expanded pattern. 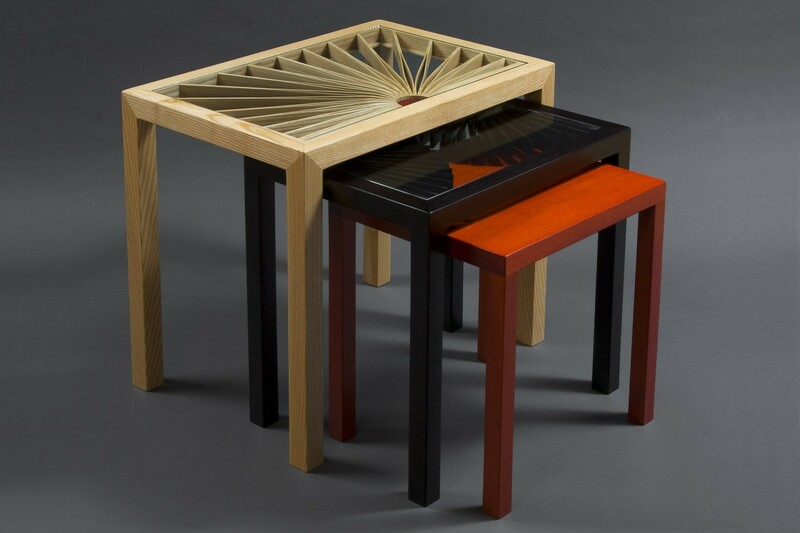 These and the third red dyed mahogany table have durable satin polyurethane finishes. 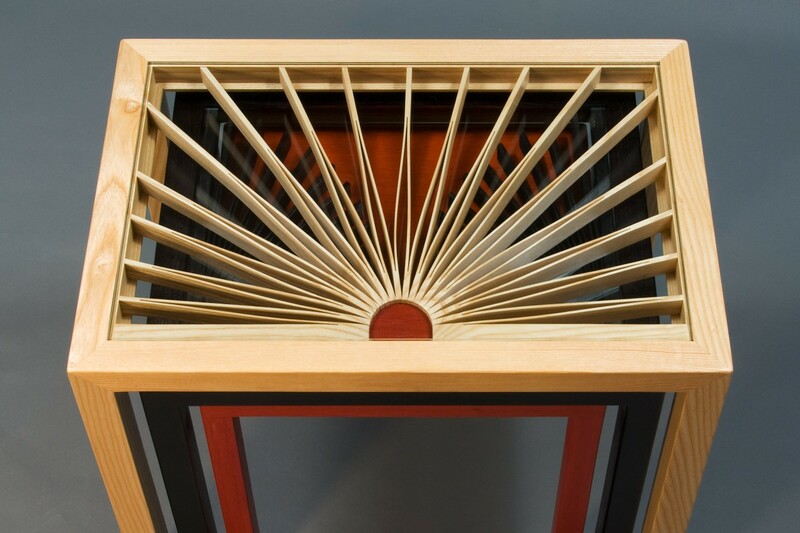 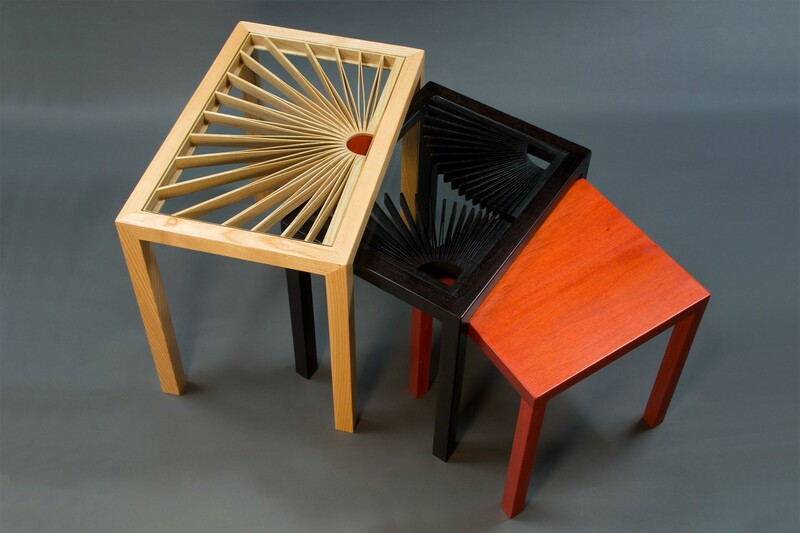 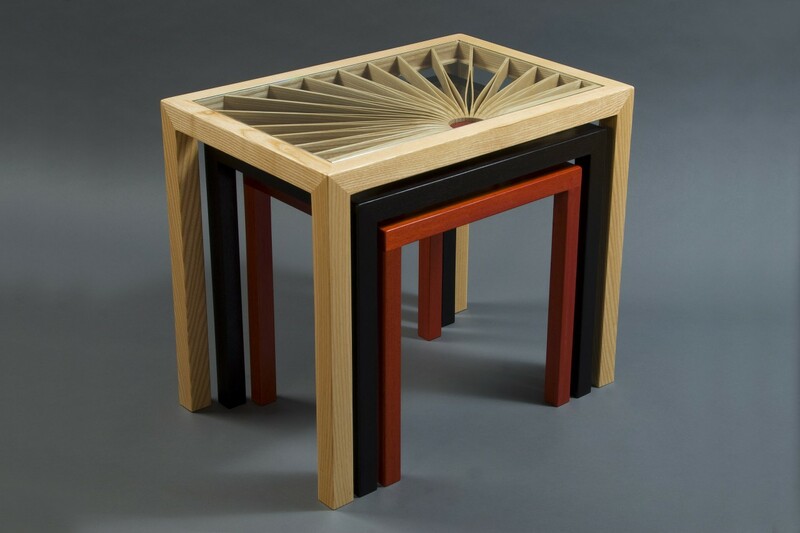 Stacked or separate these nesting tables will add beauty and drama to your living room.